Born in St Petersburg into a musical family, the Russian-Belgian violinist Tatiana Samouil started to learn the violin at the age of six. Three years later she gave her first recital and made her debut as a soloist in Haydns Violin Concerto no4 with the Moldavian National Orchestra, under the baton of her father Alexander Samouil. Tatiana Samouil studied with renowned teachers such as Sergey Fatkulin and Maja Glezarova. After obtaining her soloist diploma at the Moscow State Conservatory, she obtained a Master degree under Igor Oistrakh at the Brussels Royal Conservatory and finished her post-graduation studies with Jose-Luis Garcia at the Reina Sofia Superior School in Madrid. After winning numerous awards at international competitions (Tchaikovsky competition in Moscow, Queen Elisabeth competition in Brussels, Jean Sibelius competition in Helsinki, Michael Hill competition in New Zealand…) her soloist career gained an international dimension and she was invited to play with the Russian National Orchestra, the Belgian National Orchestra and the Radio orchestras of Belgium, the Bucharest Radio Symphony Orchestra, the Teatro Colón Symphony Orchestra in Buenos Aires, the Presidential Orchestra of Turkey, the Brandenburger Staatsorchester Frankfurt, the Klassische Philharmonie Bonn, the Orquesta Metropolitana of Lissabon, the Holland Symphonia… with conductors such as Kazushi Ono, Gilbert Varga, Miguel Harth-Bedoya, Luis Gorelik, Alexander Anissimov, Vladimir Ziva, Heribert Beissel, Alexander Rahbari and Bjarte Engeset. 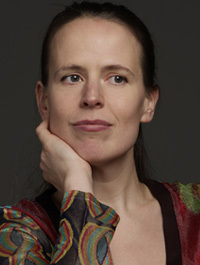 An active chamber musician, she regularly takes part in festivals of chamber music alongside Augustin Dumay, Gérard Caussé, Michaela Martin, Frans Helmerson, Henri Demarquette, Katia and Marielle Labèque, Sonia Wieder- Atherton, Bruno Pasquier, Antoine Tamestit, Gary Hoffman, Nicolas Altstaedt, among others. Since 2008, she is the first violin and founding member of the Malibran String Quartet. Her debut-CD with the complete Violin Sonatas by Prokofiev with pianist Plamena Mangova received ‘5’ Diapason and four stars of ‘Le Monde de la Musique’ (Cypres records). Her recording of Luis Gianneo’s Concierto Aymará (Sony Classical) with the Salta Symphony Orchestra conducted by Luis Gorelik, was nominated as best classical release in South America in 2010. In 2012 her recording with chamber music works of Enesco (Indesens records) received also ‘5’ Diapason, along with utterly positive reviews worldwide. Her latest CD-achievement is the prize-winning recording of the complete chamber music by César Franck (4 CDs) with pianist David Lively, cellist Justus Grimm and the Malibran String Quartet (Cypres records). 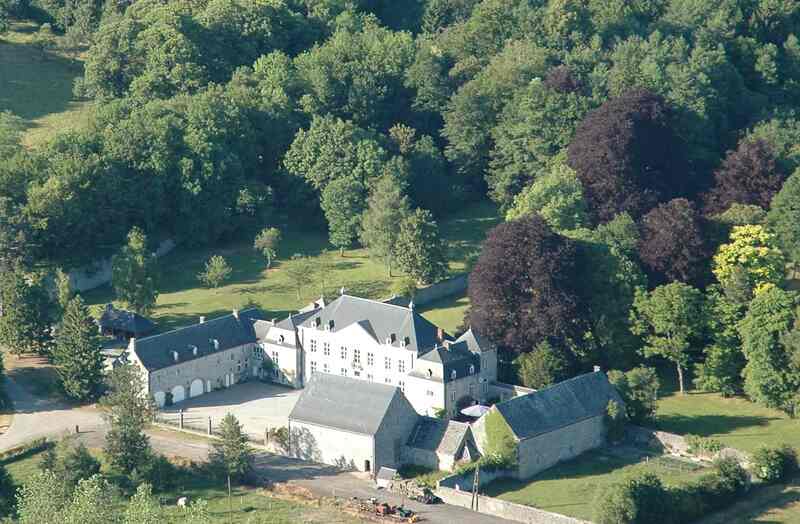 Since 2004 Tatiana Samouil has the privilege of teaching at the Chapelle Musicale Reine Elisabeth with Augustin Dumay. The experience of this teaching collaboration and playing numerous concerts with Mr. Dumay, made her acknowledge him as her true ‘maître’, and as the most important influence on her playing in the past years. Furthermore, it enabled her to blend successfully the Russian violin school with the French-Belgian violin tradition. Since 2009 Tatiana is teaching at the Antwerp Royal Conservatory. She is also regularly invited to give master classes in France, Spain, Portugal, Russia and South Korea and to be a jury-member of international violin competitions. 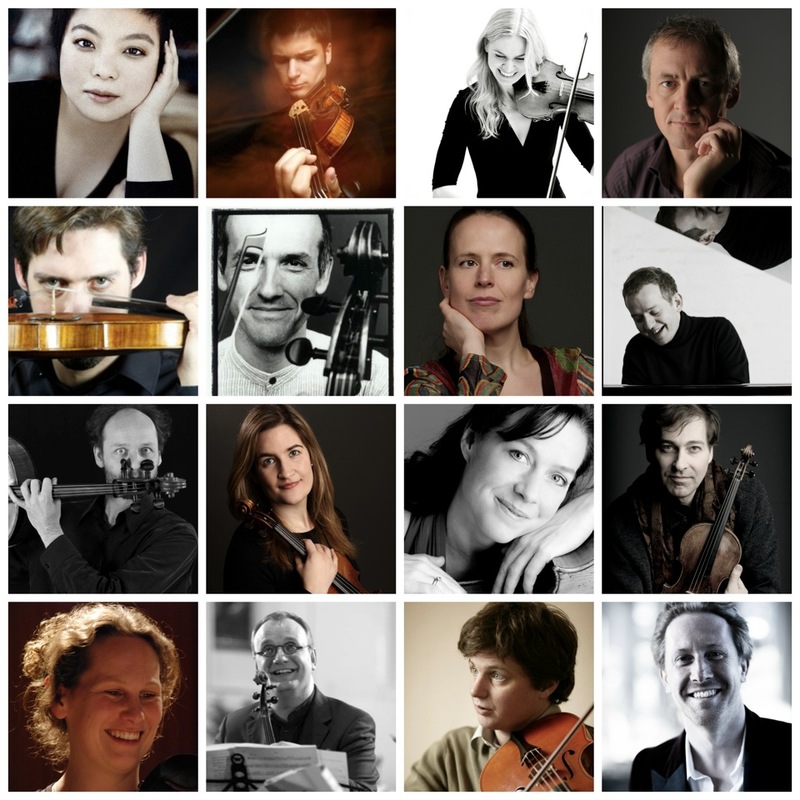 In 2012, she served as a jury member of Queen Elisabeth competition of Belgium. In 2010 and 2011 Tatiana Samouil was appointed artist in residence at the Cantiere International Festival of Montepulciano. 2011-2012 saw her debut in the USA and in Hong Kong, appearances at different festivals such as the Bel Air Festival in Chambéry (France), recitals in Paris, Rome and Moscow. 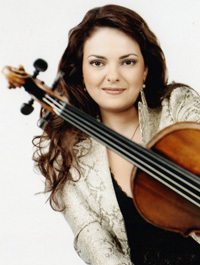 She also performed with Yuri Bashmet and his Soloists of Moscow Orchestra. The many highlights of the current season include her recording of Saint- Saëns Violin Concerto no.3 with Orchestre Philharmonique de Liège under the baton of Christian Arming, the performance of the complete Beethoven Violin Sonatas with Plamena Mangova, a concert at the Berlin Konzerthaus with St. Petersburg Sinfonietta and Igor Budinstein, appearances at Yuri Bashmets Festivals (in Sochi, and Mayfest in Ithaca, New York), her debut in Tel Aviv with Miri Yampolski, and recitals in Hong Kong, Porto, Lisbon and Brussels. Thanks to an anonymous donor, Tatiana Samouil is playing on Stradivarius violin from 1721, once owned by Fritz Kreisler. Tatiana Samouil’s strong-willed, passionate and inspired playing is the direct continuation of the best traditions of Russian violin school.